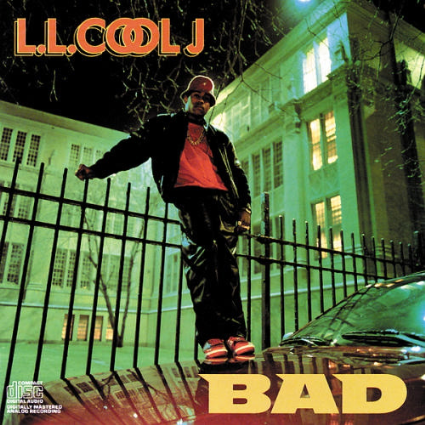 Rap Research Archive: Raptalk.Net: How did some cats from LA end up producing LL Cool J's 1987 "B.A.D" album? 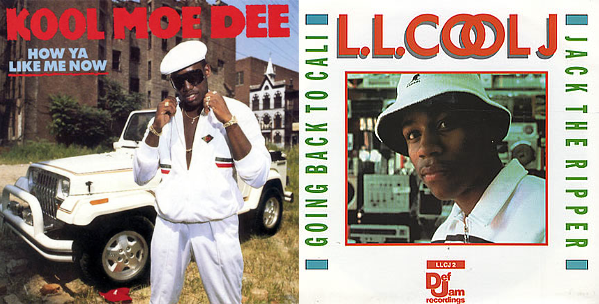 Raptalk.Net: How did some cats from LA end up producing LL Cool J's 1987 "B.A.D" album? 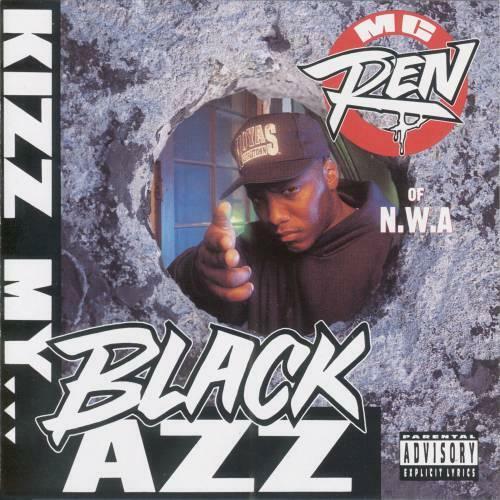 his classic "B.A.D" album in the 80's. "Mama Said Knock You Out" not Marley Marl. How did you get a Production deal with Def Jam? Styles, I am glad you asked that question. to understand and a lot of people to understand. You've got to be patient. Like Will Smith in that new movie "Happyness". That guy was patient, you know what I mean? It was some years before I got with Def Jam. at the time I was Southern California's #1 DJ. and a bunch of other Cats on. So I had a DJ Network started already. pre-production for a rapper named Breeze. I remember him… MC Breeze. He did the L.A. Posse song, right? called me up because they were having a DJ battle. "Bob, you will smoke everybody out here"
East Coast DJ's especially at that time. "I don't have no money to come out there". I could to get my plane ticket, my round trip ticket. that I didn't have a way back. there and win the DJ contest. When I got there, I was a day late and a dollar short. They had already started the first round and wouldn't let me do nothing. I was like "Can I at least guest-spin so they can see?" and they wouldn't let me do nothing. Man, time stopped that day. I didn't know what I was going to do because I had no way of getting back home. It wasn't like now where you can pay-pal plus people in my family didn't have money or at least that kind of money where they could just fly me back home. So anyway, I just hung out in New York with no where to go, no where to sleep, I was out there for like 2 months! Just hanging out with them not knowing what I was going to do with my career or my life. So they was working on Breeze's record and I was like "Can I help?". They was like "No, you've got to ask Russell. You can't just start working on a record". So one day they went to the Hamburger stand down the street of the studio and I told the Engineer "Listen, let me put something on the record". He was like "No, I can't do that". I was like "Look, I know you can erase it if they don't like it. Let me put this on the record." When they was gone, he allowed me to put some stuff down and when they came back they started going bananas over it. Styles: What did you record? Bobcat: You know what? Back then they weren't using drum machines or anything like that. They were using something called a Bell, it was like a little sampling thing. You had to kind of go through the engineer to do something like that. It wasn't like we had SP's or MP's or any of that. So I did it with the turntables because remember I used to do mixtapes and stuff.I started putting all of this stuff on the record, and this is all pioneering, see what I'm telling you now is stuff that wasn't really happening until I started doing it. Like looping records, you know like "Shaft", like on LL's thing. I did a bunch of stuff like that and they went crazy. They called Russell up and let him hear it over the phone. Russell is like "Yo! That's crazy! Tell Bobcat that he's down". So I was down with the team, but I wasn't getting paid. Styles: Yeah, I mean you have to survive somehow…. Bobcat: I just kept on working and working and working. We made a gang of records. Dope records! We made like 2 or 3 albums at the time. Styles: And this was just with Breeze, right? Bobcat: Just with Breeze! And also, because we were like staff producers at the time so we were working on Alyson Williams and other R & B projects. I don't know if you know this, but I brought Nikki D over to Def Jam! 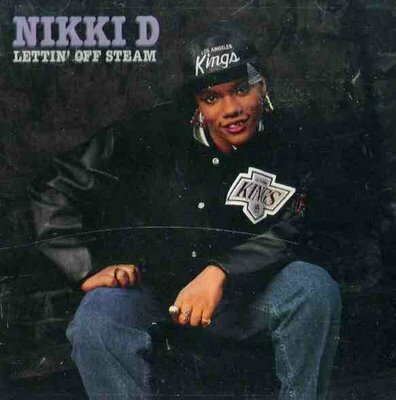 She was the first female rapper to get signed to Def Jam. Styles: Yeah, I remember her. She did that "Daddy's Little Girl" song…. Bobcat: Exactly! So we was developing stuff like that the whole time. One day Russell came and and said, "Bobcat, you are getting your first check". So that was the day, my breakthrough moment, the beginning of my entire career. 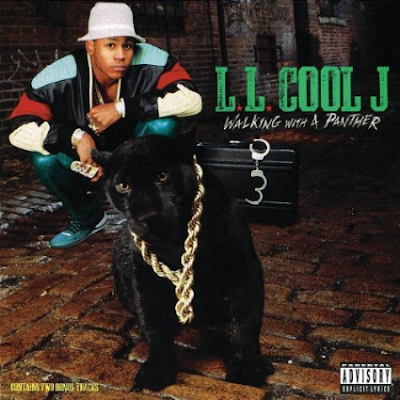 Not long after that, Russell came to us and asked if we would like to do some pre-production for LL Cool J.
Bobcat: Exactly.. That was our defining moment. We were like "Of course!" .. So we met LL, and this is a good story I am going to tell you right here. The first time we met LL we was nervous and excited because Jam Master Jay, I was always real close with Jason, he had always told me that if me and this rapper named LL ever hooked up it was going to be ridiculous.That's what he used to tell me, so I already had that in my mind. So anyway, and no disrespect to my man Cut (Cut Creator) because me and him still talk and as a matter of fact he's a part of our organization (The Foundation). So anyway, we was in the studio and LL was like "Yo, let me see something. Whats up?" so I got on the turntables and I acted like I couldn't cut. I would do like these sorry little scratches and then I would act like the record was skipping. LL, he's real impatient so he's like "Yo, yo! C'mon man, let my man Cut Creator show you. He's from New York!". So Cut Creator got on and he started doing his thing. So I sat back and watched, then I said "Yo, can I get another shot? Can I try one more time?" and he was like "Sure, ok, c'mon. What you gonna do?". I said, "Can I warm up first?" and he was like "Sure, I don't care". Now in the studio normally you know you have just one turntable hooked up just for the purposes of scratching. So I asked, "Can I hook up both turntables?" and once again he was like "Sure, I don't care". So I hooked both of the tables up and I started cutting "Rock The Bells"…(Mimics Scratching) and I started going off on "Rock The Bells" and he, I can't even explain to you, and he'll tell you if you ever interview him and if you interview him ask him about this story. He…Went…Crazy! You feel me? Because again, we (West Coast DJ's) were like light years ahead of them at this time. I know DJ's in New York is bananas now, but then we was so far ahead. So he was like "You gotta join my crew and you gotta to on tour". I was like, "Naw. I DJ for Breeze" because I am a loyal cat. This was a life changing invitation but I was like "Naw, I DJ for Breeze". He said, "talk to Breeze".When I went to Breeze I was like "Morgan…LL wants me to " and he cut in "Man, I just knew he was going to do that" (laughs). Styles: Now, were you guys known as the L.A. Posse at that time? Bobcat: You know who named us? A lot of people don't know this, but check this out. You know who named us L.A. Posse? 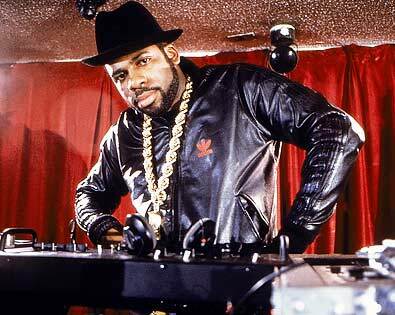 Jam Master Jay… That's who named us L.A. Posse. You know you had the Hollis Crew and we used to be with them dudes all of the time. Those were some fun times. Imagine hanging out with Run and them, with Public Enemy… We was all recording at the same studio. Heavy D used to be coming through there, you know what I mean? Anyway, yeah, Jam Master Jay named us the L.A. Posse. Styles: Who was all a part of it? 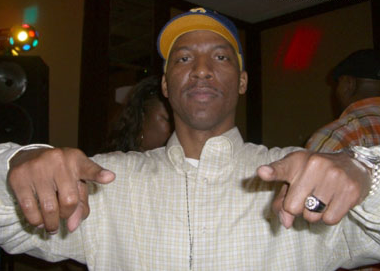 Bobcat: L.A. Posse was originally Me, Darryl Pierce, Dwayne Simon who was Muffla and DJ Pooh. 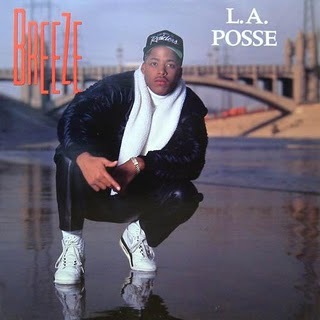 Then Breeze obviously was a part of The L.A. Posse as an MC. But the production team was who I mentioned. Styles: Who came up with that hook in Breeze's "L.A. Posse" song.. The "Ooooh, L.A., Californ-I-A" hook? Bobcat: That's Muffla! Muffla did that. Styles: So what was the first record you worked on with LL? Bobcat: Oh My God… (pauses) The first record? Styles: Yeah… or did you just start working on "Bigger And Deffer" at that point? Bobcat: You know what? I would probably say the first song that we did was "Get Down". Do you remember that record? I used "Shaft" on there like I was telling you earlier. I looped it on the turntables. Its just crazy if you go back and listen to that record, and I really want you to go back and listen to it, if you listen to that record I start off with jabs (mimicks the sound) …I was taking the turntable, like DJ's do now, I was taking the pitch and pitching it up and down and making the different notes with the stabs. Nobody was doing that. Styles: Did this just all hit you in the head or something? Bobcat:Well see I was already making mixtapes! All of that kind of stuff, well I wasn't doing it on that level because I wasn't making records then, but I was taking the things that I would be doing at the party's, you know tricks! 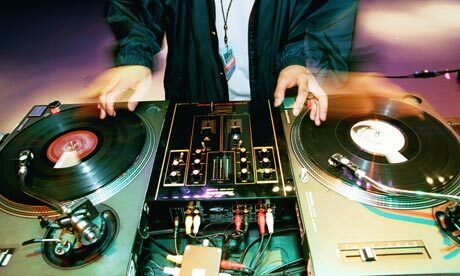 Turntable tricks, and just incorporating them into the songs. Just little stuff like that. Styles: Lets talk about the Bigger And Deffer album. You did "I'm Bad" right? Bobcat: "I'm Bad" that comes from "Courageous Cats". You know what I mean? Part of that, and from S.W.A.T. All of that stuff is just DJ stuff. Digging in crates. Styles: I'm Bad was a crazy beat! Bobcat: That's "Courageous Cats" (mimics the bassline)… I just flipped it. You see what I'm saying? I'm Bobcat (laughs). Styles: What was your favorite song off that album? Bobcat: Off the Bigger And Deffer? Bobcat: You know, now you got me thinking because we got the "Doo Wop" on there. "Candy"… you know what? Personally, I didn't know what we was doing but we were doing a real well diverse album. 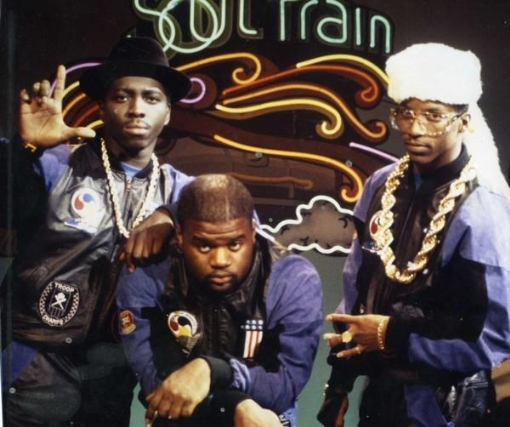 We were one of the firsts to set the tone for diversity in Hip Hop. Because you had Run and them doing their thing. You had the Beastie Boys doing their thing. But a lot of records at the time were kind of one dimensional. On this album it was very diverse because you had the ballads. You had the story telling songs. You had "My Rhyme Ain't Done". You had "Get Down", a party song. But I don't really have a favorite. Styles: Did you produce on his next album? 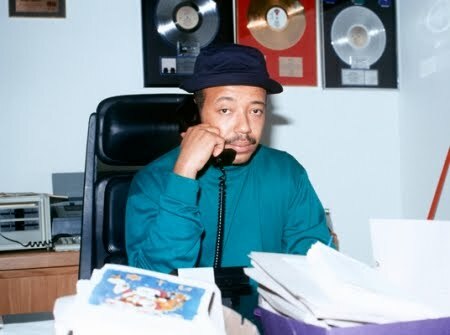 Bobcat: Now this is the business part, and that's why we are doing what we are doing now (with The Foundation).By me being so young and not understanding contracts, agreements, publishing and points, they didn't pay me and us what we should have made for the Bigger And Deffer record. I found out after the record came out. It sold 3 Million copies and broke all kinds of records. I wanted to renegotiate and get more points and the people that was representing LL didn't want to do that so I told them if they don't do that then I am not coming to the table. So they went and did the album without me. Styles: The Panther album, right? Bobcat: Yup, Walk With A Panther album, and it didn't do as well as it could have because Bobcat wasn't involved (laughs)…But then I came back for "Mama Said Knock You Out". Styles: You weren't on 14 Shots To The Dome, were you? Bobcat: Now, I hate talking about that one and I'mma tell you why (laughs). One of the greatest records that me and LL have ever done is called "Crossroads" and its on that album. I used a full harmonic orchestra on that record in New York. We used 105 tracks on this song. This song is the most complex and unbelievable masterpiece ever created. Go back and listen to that. I personally know that it would have taken LL's career to the next level, because you know you can only stay at a street level or mainstream level for so long and then its over with, so you've got to go somewhere else and that song I believe would have taken him to that next level. Bobcat: Yeah! Marley Marl talked him into doing "this is how I'm coming" and trying to do street. Treach was the hot thing at the time, so LL was trying to compete with Treach and you know what I do as a Producer is I try to keep artists being who they are. You know, trying to get them to staying away from paying attention to what the other people are doing that's hot.Because everybody spots a knockoff especially in Hip Hop immediately! Styles: Lets go back to "Mama Said Knock You Out" for a second….How did you come up with that crazy concept? Bobcat: It's interesting and I wish my mother was right here to tell you that part because she would be like (mimics his mom's voice) "Let me tell you something".. (laughs). First, and my wife is right here to testify, the concept is my concept. Not the lyrics, but the style of rap is mine. See… now its getting more interesting. What's interesting and deep about this, is that me and LL were beefing at the time. I wasn't working with him and when I say "beefing" I mean that we weren't working together at the time. 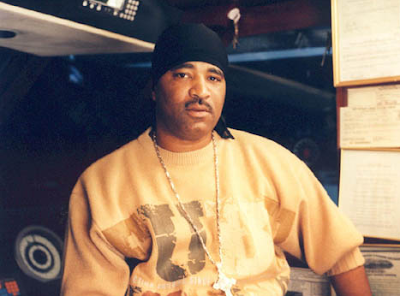 Marley Marl, they (Def Jam) had hired him to do that album. Well, they was pretty much done with that album and in some kind of way, I don't remember who called who, but we started talking and I was playing him some beats over the phone. Mama Said Knock You Out track was already a track. That was, I had a crew called Microphone Mafia and on a lot of Pac records I say at the end "Microphone Mafia", and so it was a clique record for us. K-Born, Threat, Nefertiti they was all on that record and nobody had really wanted to sign them at the time, and me and Pooh was trying to kick doors down trying to get people to hear a new kind of West Coast thing and they didn't want to hear it. To make a longer story short, I played that track for LL and he went crazy of course. I knew he would because everybody loved that track. We agreed that we were going to do a song so I flew out to New York. We were in his condo with his Farmers Blvd. Crew, a bunch of cats that were around his way, and we were all up in there freestyling and drinking 40 ounces. I used to have, because I used to rap to not saying that like I am rapping right now because you know every producer has some skills (laughs), but I had a rap that I used to say to that beat.So the rap that I used to say to that beat I was saying it that night just chillin'. So LL started doing the style that I was doing to the beat and I said , "That's how I want you to rap!" See sometimes you can't tell cocky rappers, "do it like this" because they won't do it. So you've got to kind of trick them in to doing it. You feel me? Styles: Wow… so that whole thing was basically you!! 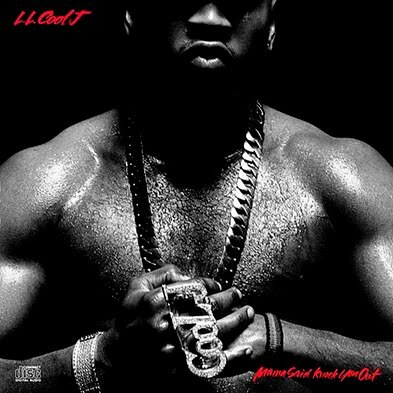 Bobcat: The concept, the beat and the style, not the lyrics….There is so much to talk about with that song because its crazy. He was a point where people were saying "LL was washed up", so I referred to myself as other producers do as a "Coach" you know like in Boxing or whatever. I was like LL's custom model. Just like I did with "Jack The Ripper", I made him do that record! He didn't want to answer Kool Moe Dee! Styles: (laughs)… wow… I didn't know that part. Bobcat:So, you know, we got in the studio and he got around Marley Marl once again and started trying to rap cool. (Mimics in a cool low voice) "Don't call it a comeback, I've been here for years"…I said "C'mon man! "… "C'mon man!". So we got into a big beef, a big argument and then I said "lets just go to the store and get some 40's and come back, you know get the vibe back like we had at the spot". I was real mad because to be honest, and you can quote this, Marley Marl was trying to sabotage the project. Bobcat: He was like, "This sounds like some West Coast whoopty whoop" and he'll even tell that to you! Marley Marl will tell you, because you know he didn't understand it. What he does is funky and I love Marley Marl's production but it was a different type of project. If you remember Bigger and Deffer we did "Go Cut Creator" and it was a rock type thing because we grew up under Run-DMC and them.So part of my things is to make hard heavy rap records that are explosive and slash everybody type of records and concepts. So we got in there again, and again Marley Marl was hating so we started drinking 40's and got the vibe back. Marley Marl, and you can quote this too, he went to sleep. Yes… because we were at his house. Marley Marl left the studio, went upstars and went to sleep while we were recording the vocals on this record. When LL says "C'mon" that's not part of the song. LL was mad at me because I was cussing him out and talking real sick about the way he was rapping. He was sounding ridiculous and I was pissed off. Styles: So that "C'mon" at the beginning was aimed at you? Bobcat: Yeah, because I kept saying "that ain't it, rewind it!!". Because when I am in the studio, I will stop you immediately and tell you that ain't it, just like a Movie Director. If an Actor is not in character you spot it immediately and say that's not it! Bobcat: Yeah, see that's all raw real aggression and that's what it needed. People were talking about LL and saying he was finished and washed up, you know how they do it. That's the real story. Styles: So what did you move in to next after this? Styles: Now that you mention Pac, I heard somewhere that you were like one of the first producers to ever work with him. Bobcat: Oh man, let me tell you that story! 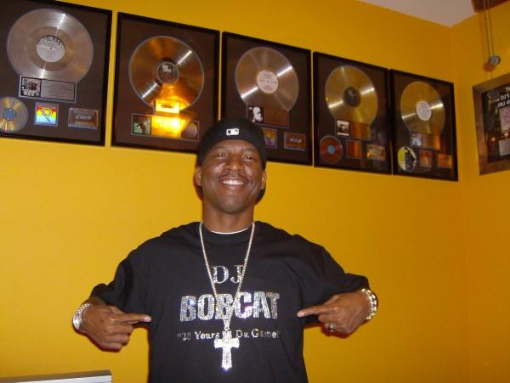 Bobcat: My little cousin D-Skills, he is a pioneer and underground hero too. He had a show out in Atlanta, the Black Panther Hour. Skills and Pac used to be best friends and room-mate. This was when Pac had 2Pacalypse out.You know, he was still underground and he wasn't "2Pac" the way we know "2pac" yet. He was just a regular ol' underground rapper. So D-Skills came to me and was like "Yo Bob, man, can you take this kid under your wing?" and I was like "Who is he?". So I asked if I could hear him and I think I even went and bought the CD but when I got the CD I played that CD all night as I rolled down Sunset all night long. Just bumpin' 2Pacalypse. I said "This kid is sick! Let me work with him." So as soon as we got together we hit it off and at that time Pac used to be real kick back. He used to kind of come around the studio and just not really talk loud. I had my crew, the L.A. crew, everybody was in there talking loud and he was just kind of ear-hustling and peeping out the whole situation. On that album I brought Ice-T in. 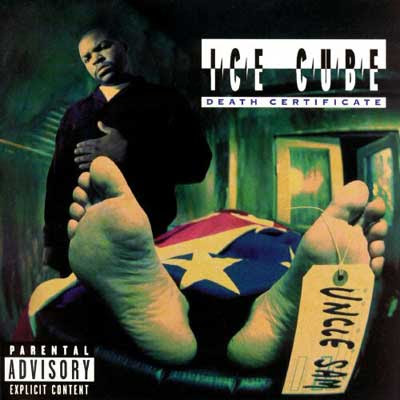 I brought Cube in, and Cube was at the stage where he was one of the most feared MC's in the game with all the controversy. So I brought Cube in on "Last Words" so you know Pac was excited about that, working with his heroes. Ice T came and did a song. I brought Threat in to do a song with him called "Peep Game". I did "Soldiers Revenge" on that particular record. 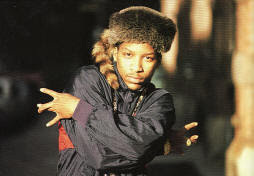 Then later on after he got out of jail, on the All Eyez On Me album, I did "Holla At Me". Styles: Did you maintain a cool relationship with him the whole time until he died? Bobcat: You know what? Let me tell you what happened. When Pac started the "Thug Life" thing, I mean everybody saw, he went through a transition. He kinda started buggin' out a little bit. He and Treach got into some major problems out here on the West, and I ain't going to say the Gang but its one of the biggest Gangs out here, and I had to stop them from smashin' him. I met them up at Echo Sounds and squashed a major beef that Pac and Treach had with them. People in the streets know what I am talking about, you feel me? It was that type of atmosphere, because I used to take Pac to all them clubs with Ren and them, imagine this, it used to be Me, Ren, LL, Pac and Eazy hanging out and doing all kinds of stuff. Even in this hotel (Universal Sheraton)!! Me, Pac, Eazy and LL had a Super Bowl Party ..and Yo-Yo. Again like I said I used to be taking him to the clubs, renting limousines and he was like one of my little brothers. Like a lot of us have done in the past he kind of got out of control with The Thug Life thing and all of that. I know this sounds a little crazy, but I say this a lot of times even about my own homies and one of my brother's that's in jail, he's been in jail 10 years and he'll be out next year (Irv Dogg), and I was happy when Irv Dogg went to jail and I was happy when Pac went to jail. Because they was on a course, a course that would have ended Pac's life sooner than it ended. He was just going in that direction. When he came out of jail, I did notice that he was a different person completely.